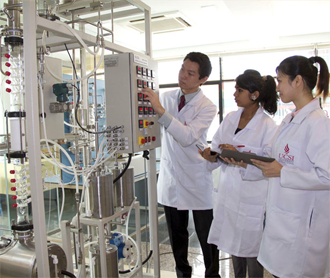 Students after SPM or O-Levels who have an interest in chemistry, physics and maths can consider the Diploma in Materials Engineering at the top ranked UCSI University renown for its engineering courses. Materials engineering investigates the relationship between the structure of materials at both the atomic and molecular scales and how this relationship relates to the materials macroscopic properties. 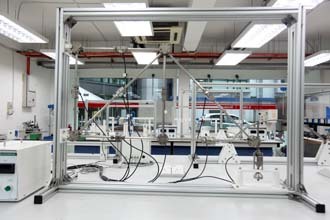 They are involved in the development, processing, and testing of the materials used to create a range of products, from computer chips and aircraft wings to golf clubs and snow skis. They work with metals, ceramics, plastics, semiconductors, and composites to create new materials that meet certain mechanical, electrical, and chemical requirements. They also are involved in selecting materials for new applications. Materials engineers have developed the ability to create and then study materials at an atomic level, using advanced processes to replicate the characteristics of materials and their components with computers. Most materials engineers specialise in a particular material. For example, metallurgical engineers specialize in metals such as steel, and ceramic engineers develop ceramic materials and the processes for making them into useful products such as glassware or fiber optic communication lines. Students who are good in chemistry, physics and additional maths can consider the Diploma in Materials Science at UCSI University. 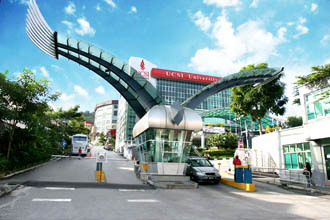 With only 3 credits in SPM including Maths & Science and passes in BM, Sejarah and English, students can enter the Diploma in Engineering (Materials Science) at the top ranked UCSI University in Malaysia. Materials have become part and parcel of our everyday lives. They exist in various forms; semiconductors in computer chips; light materials in aerospace applications; biomaterials in artificial organs or bone replacements; catalyst substrates in energy industries; and optical materials in communications systems, among others. Suffice to say, it is no exaggeration that the revolution of today’s technologies largely depend on the development of new and innovative materials. Materials science emphasises the relationship between synthesis and processing of materials, the structure (of materials) at atomic scales and their macroscopic properties. 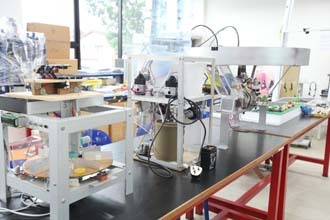 Material properties can be tailored by manipulating its composition and structure through synthesis and processing. strong foundation of knowledge that incorporates the elements of applied physics and chemistry at the introductory level in year 1. At a later stage, students will be exposed to metallurgy, polymer science, ceramics and composites, and will be trained to handle various instruments and tools for characterisation and analysis through practical sessions and cooperative placements. Upon completion of the Diploma in Engineering (Materials Science) at UCSI University, graduates can enter into Year 2 of the B.Eng. 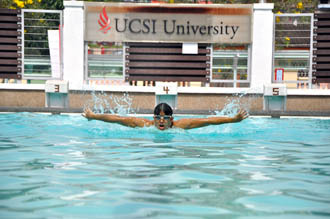 (Hons) Chemical Engineering or B.Eng (Hons) Petroleum Engineering also offered at UCSI University. Upon graduation, our graduates can employ their strong technical knowledge and analytical skills across industries – including consulting – around the world. The growing manufacturing sector places great demand for more Material Science specialists who have the right expertise and knowledge. 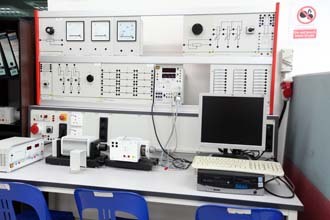 As such, graduates in this niche field have an added advantage over their peers in careers related to design and development of materials for technology advancement; testing and control of quality of different materials; exploration and application of new materials in the industry; improvement and enhancement of the characteristics of materials; investigate and prevent material failure as well as to meet design requirements. University stands out as a melting pot of diversity and learners will supplement their pursuit of knowledge with a keen sense of cultural appreciation – an important characteristic in today’s borderless world. 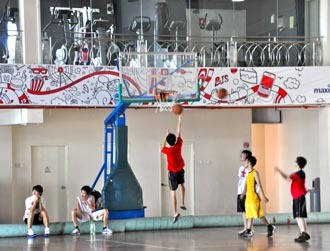 Lumpur with convenient access to numerous facilities including banks, restaurants, transportation services, entertainment, and on & off campus accommodation. 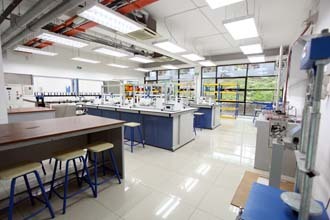 The Campus faculty-centric facilities include: the Anatomy & Pathology Museum, Clinical Skills Laboratories, Petrochemical Laboratory, Physiology & Pharmacology Laboratory, Molecular Biology Laboratory, and Microbiology Laboratory, fashion design workshops, Psychology Laboratory, as well as drafting and design studios.